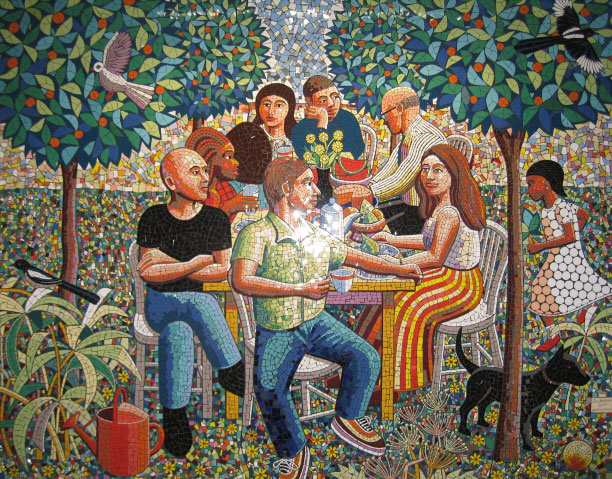 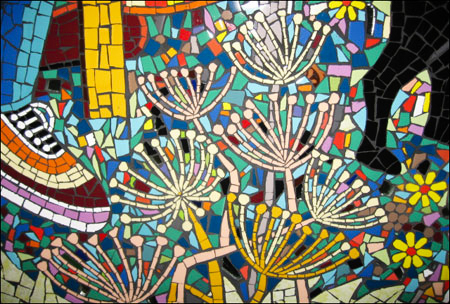 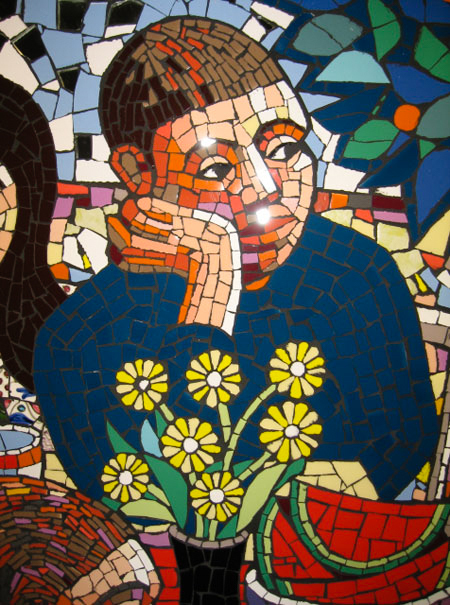 I built these two mosaic murals - The Dance and The Garden - over 2006-2007 to accompany the mosaic made with the visiting Kenyan children in 2005. 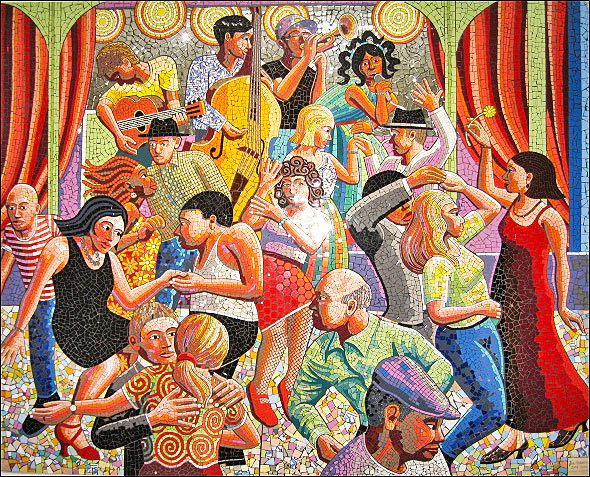 Hopefully by the end of 2008 a fourth mural, probably on an indoor theme, will have joined them. 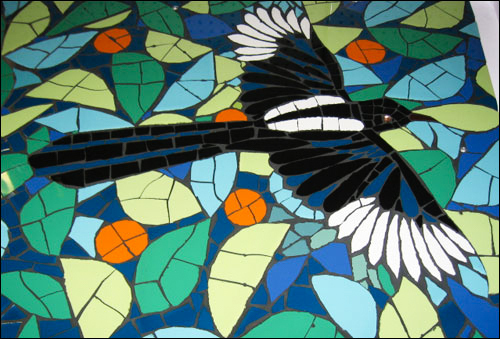 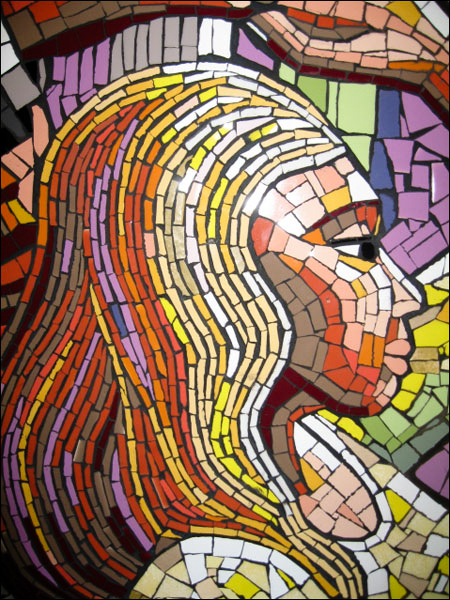 They are to be found in the main corridor of Addenbrookes Hospital, and each mosaic measures approximately 3 metres wide by 2.5 metre high.